One of my undertakings for this winter is to re-read the Kurt Vonnegut catalog. Like many, I read Vonnegut extensively in high school and college but got away from him over the years, though I did return to Slaughterhouse Five from time to time. Vonnegut is one of those writers one can return to at different points in one’s life, reading him with fresh eyes from the changing perspectives of one’s age. I intend to read both the fiction and non-fiction. I will have to do a literature review before diving in fully, but I am considering some type of project in which I analyze the World Wars on Vonnegut’s family. I know that a fair amount has been done on Vonnegut but I think there are some threads left to untangle. If this happens, it will not be until summer or fall. Again it has been a while since I have read him, but I recall him discussing the effect that the anti-German hysteria had on his family in Indiana during the First World War. Vonnegut, born in 1922, was a young enlisted man during the Second World War and famously survived the February 1945 firebombing of Dresden Germany as a prisoner of war. That experience in turn was the basis of Slaughterhouse Five, usually considered his most important work. He often downplayed the role that his Second World War experiences played on his personal life, claiming that people often go through cataclysmic events with little to no impact on their own psyches. That may or may not be true. It is without question true that the Second World War played a huge role in his writings. His mother’s 1944 suicide was also a factor in his worldview. Right now I am focusing on the early novels. I finished God Bless You, Mr. Rosewater on Friday and started Mother Night yesterday. I am struck by how little science fiction there is in these considering that he is usually put in the Sci Fi/Fantasy genre. Some of those devices, time travel, etc., would come in later works but I would hesitate to put him in that category. A second thing that strikes me on reading these novels today is that, when Vonnegut was writing them, the Second World War was more current events than history. I never saw it that way when I was reading them in the 1970s & 80s because to my perspective the Second World War was already part of Ancient History. My sense and perspective on time has changed entirely now that I am in full blown middle age. So it goes. If I indeed pursue some type of project on Vonnegut, perhaps a series of articles here on the Strawfoot, I may try to tie it in with Rod Serling. Perhaps it might be a compare and contrast of the two men and how they were influenced by their experiences in the Second World War. In some ways these are still current events: it is striking to see how the problems created by the events of the twentieth century are touching the world we live in today. Where the F Train rises above ground to cross the Gowanus Canal once stood a sign for Eagle Clothes. Eagle opened its plant here in Brooklyn in 1951 and did a fair business in Ivy Style and gentleman’s clothing until closing in the late 1980s, a victim of outsourcing as well as our nation’s unfortunate turn to casual wear. When Mayor Vincent R. Impellitteri toured the site in July 1951 he called it “one of the most complete and best equipped factories he has ever seen.” It provided over a thousand jobs, no small thing given that the the Brooklyn Navy Yard was scaling back and would eventually close in the mid-1960s. In the decades after the World Wars there was no longer a need for battleships. Eagle plant literally outfitted The Man in the Gray Flannel suit, manufacturing the wardrobes for the production of that 1956 film right here in Brooklyn. That’s just one example of Eagle’s reach. Abraham & Straus was a major Eagle retailer. Rod Serling wore Eagle Clothes for much of his time as producer, writer, narrator on The Twilight Zone. (He also wore Kuppenheimer for a time as well.) Every time I saw that Eagle sign in the fifteen years since my move here until its tearing down three years ago I could not but help to think of Rod Serling. The photo here came to me yesterday and I thought I share on this Sunday morning. I noted with sadness yesterday the passing of George Clayton Johnson. George actually died on Christmas Day but I had not heard the news until catching up on the news after the holiday. I earned the right to call him George after meeting him at the 2009 Rod Serling Conference at Ithaca College. He was the keynote speaker and as chance had it he was staying in our hotel; I recognized him immediately in the hotel restaurant in the morning. How could one not with the way he always wore his trademark hat? I was speaking an hour later at the conference about George Beaumont and as I was making my opening remarks who walked in but George himself. I realized instinctively that the pressure was one–I was talking about the guy’s best friend. He really could have called me out on any b.s. I might have spouted. It meant the world to me that he liked my talk. He even worked a few of my points into his keynote speech that evening. I was talking to our houseguest earlier in the week about the Twilight Zone episode “Ninety Years Without Slumbering,” in which the elderly protagonist will die should the old grandfather clock he has owned for his lifetime should stop ticking. George Clayton Johnson wrote the episode. Death was a common theme in Clayton’s work. “Ninety Years,” “The Four of Us are Dying,” “Kick the Can,” “A Game of Pool,” and “Nothing in the Dark” all have mortality and immortality as central themes. I have always loved the photo of the young GCJ standing with Robert Redford on the set of “Nothing in the Dark.” In his memoir New York in the 50s Dan Wakefield makes a strong case that Redford was too good-looking for his own good, never receiving his full due as an actor. Mr. Johnson did so much besides the Twilight Zone. He wrote the first episode of Star Trek, reams of short stories, the novel Ocean’s 11, and collaborated on the book Logan’s Run. He was working on a sequel when he died. George Clayton Johnson’s death marks the end of a Twilight Zone era. He was the last of the Big Four that included Beaumont (1967), Serling (1975), Richard Matheson (2013), and now George Clayton Johnson. I am glad to have met him when I had the opportunity. Don’t forget that New Years means the annual Twilight Zone marathon. Happy 2016, and give a thought to George Clayton Johnson. The other day I finished As I knew Him: My Dad, Rod Serling. 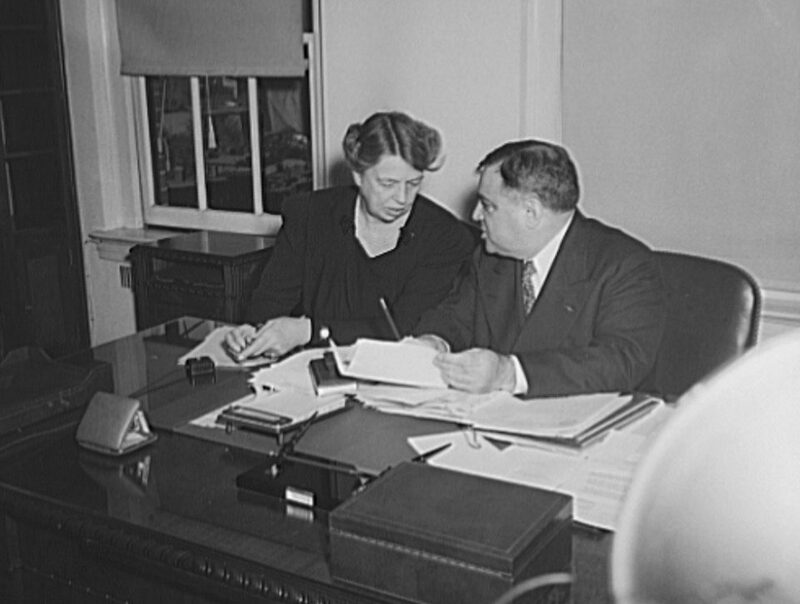 The memoir was written by his younger daughter Anne. Rod Serling became so identified with The Twilight Zone that most people believe they know the man through the show’s beginning and closing monologues. Ms. Serling seems eager to dispel any possible misconceptions and give a fuller, better rounded description of who her father was. In this she succeeded. 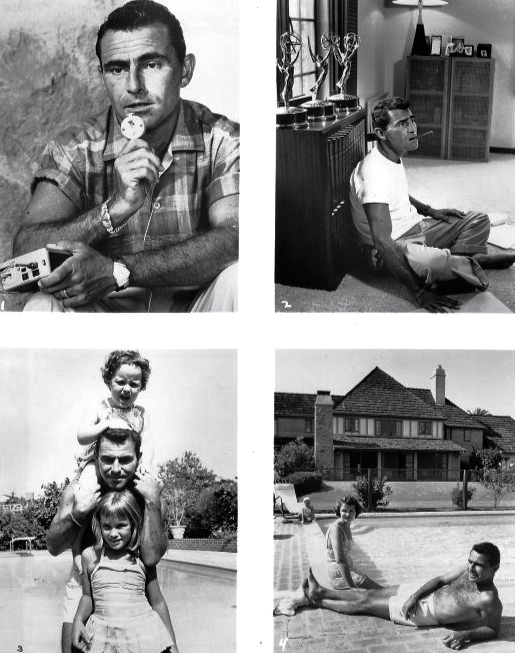 Serling was first and foremost a member of the Greatest Generation and his children were very much baby boomers. I remember meeting his widow Carol when I spoke at the Rod Serling conference in 2009 and how sharp and good-natured she was. Daughter Anne shares with her father a sense of lost time that seems straight out of Proust. Two of Serling’s teleplays–“Walking Distance” from Twilight Zone and Night Gallery’s “They’re Tearing Down Tim Riley’s Bar”–are the best examples of his yearning for things past. The latter starred William Windom, who a decade earlier appeared in TZ episode “Five Characters in Search of an Exit”; it is always jarring seeing actors one thinks forever preserved in Twilight Zone amber wearing the styles of the 1970s. Ms. Serling speaks at length about her father’s WW2 experiences in the Pacific. He seems to have suffered from post traumatic stress disorder on some level. This was more common among WW2 (and WW1) veterans than we tend to realize. I have a good friend whose father was also in the Pacific. Like Serling, he too did not speak much of his experiences. Still, he had a fear of snakes to such a degree that when he took his family to the zoo he would never enter the snake room. Serling was always a better dramatist than comedic writer. His attempts at humor and satire almost always fell flat. Personally however, he was exceptionally funny and always gracious with others. He was especially good with young people, never condescending to them. This was true in his encounters with child actors or the friends of his two daughters. The world Serling grew up in in the 1920s-40s was vanishing rapidly in the years after he returned from the war. So many of the Twilight Zone take place in dingy bars, cold water flats, and neighborhood stoops. It is easy to forget that by 1959 Serling and family were living on the West Coast, where the show was filmed on Hollywood soundstages. Rod Serling himself has been gone forty years now. He died in 1975. In his work he captured so much of the essence of post-WW2 America. Now his daughter has captured some of that world forever lost to us. One of the most poignant moments in the entire series-run of The Twilight Zone is the scene from “Walking Distance” where middle-aged Martin Sloan meets the young boy he once was on the carousel at the local park. Adult Martin is next admonished by his father about the danger and futility of trying to live in the past. I loved the episode when I first saw it as a teenager all those years ago; now that I too am middle-aged, and so much of my own past is irretrievably gone, I grasp the poignancy in a way I previously had not. Rod Serling spent most of his youth in Binghamton, NY and in many ways he never left. The town is infused in all of his writing. The carousel in the episode is not the one from Serling’s hometown but it is similar. The one in Binghamton was built in 1925, the year after Serling was born. A few years ago it received a facelift, which included paintings inspired by Serling and his television show. Now, a filmmaker named Jonathan Napolitano is making a film about that restoration. I am sorry about the lack of posts this week. The semester at my college was winding down and I was quite busy. I was also a bit under the weather. 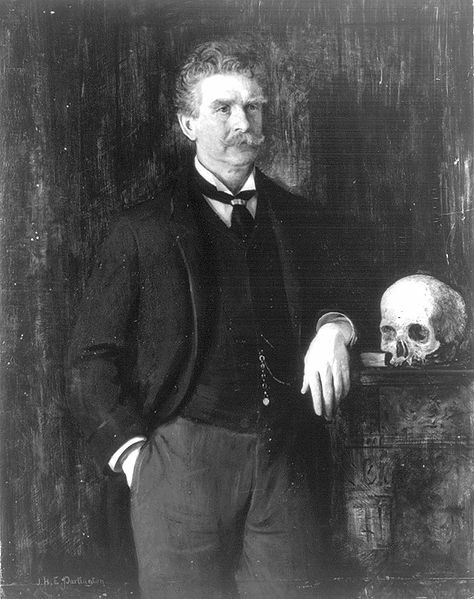 I just read this piece by Andrew Ferguson about Ambrose Bierce and thought I would pass along. My introduction to Bierce was years ago when Rod Serling presented a truncated version of a French production of “An Occurrence at Owl Creek Bridge” on the Twilight Zone. I did not know at the time that Serling bought the rights because TZ’s production budget was in danger of going over budget. Buying the American rights was cheaper than producing an original telecast. Serling gets a pass; The Twilight Zone was running on fumes by its last season and they were playing out the string. If you have never seen it you can find it online readily enough. It is worth your time. Short stories are something I am going to get into in a big way in 2014. This will interest some people more than others, but someone recently posted this 1987 memorial to writer Charles Beaumont. Richard Matheson, Roger Anker, Harlan Ellison, and son Christopher Beaumont came together in February of that year to observe the 20th anniversary of the great writer’s death. If you are looking for more on Beaumont check out JaSunni Production’s recent documentary Charles Beaumont: The Short Life of Twilight Zone’s Magic Man. For my own take, the text of my talk at the 2009 Rod Serling Conference can be found here starting on page 177. In other Beaumont news Centipede Press is publishing three Beaumont titles: an anthology titled Mass for Mixed Voices, and the novels The Intruder and Run from the Hunter. I am not sure how it works with the limited run bit. Though they are indeed handsome editions, I hope these are not designed merely for the “collectors market,” whatever that is. The Beaumont catalog deserves to be back in print for the fullest audience it deserves. Two of the coolest things out of the 1950s and 60s were Rod Serling and jazz man George Russell. I am not sure what the two have in common with each other–the song does not appear in the episode–but someone in France recently spliced this vignette of Twilight Zone segment “Five Characters in Search of an Exit” to George Russell’s version of “Beast Blues.” Russell played frequently at the Five Spot nightclub, which was on St. Marks Place directly across the street from Cooper Union. Maybe I’m reading too much into it, but I have always loved that the jazz club stood next to where Lincoln gave one of his most famous speeches. “Beast Blues” comes from an album pianist Russell recorded there in 1960; the existentialist “Five Characters” aired on December 22, 1961. TZ sometimes used stock footage (as it did in “Five Characters”) though it did often incorporate original music into its scores. Bernard Herrmann, who scored many of Alfred Hitchcock’s films, wrote much of the TZ music. Again, Russell’s work is not part of the original episode, though they do complement each other effectively. Enjoy.